After photographing their engagement session, and bonding over our love for the outdoors, I could not wait to shoot McCotta and Todd's wedding. Both McCotta and Todd took the time to plan their wedding and ensure that it was personal and unique to them. Beginning at 10:30 AM and led by two ministers, every attention to detail emulated McCotta or Todd's personality. The event ended with a tradition involving a buried bottle of whiskey, prior to cutting the cake. 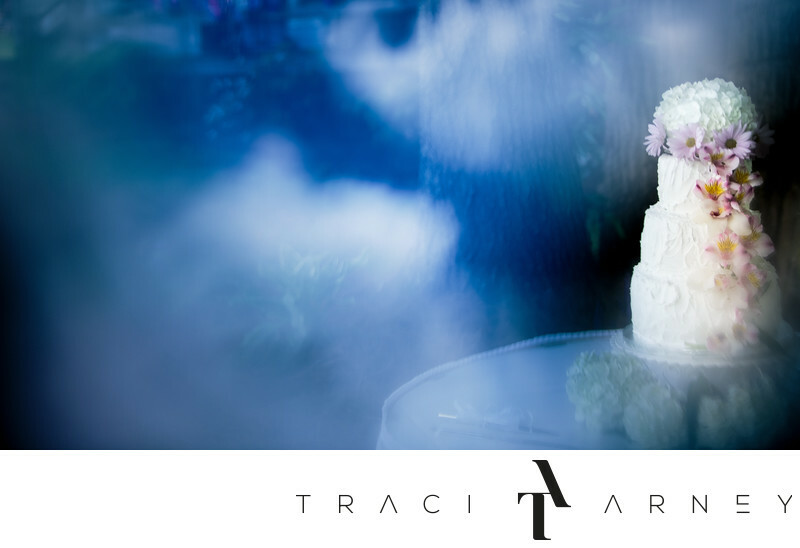 I shot the wedding cake using a plastic plate to reflect the sky. I wanted the reflections to surround the cake completely. Location: Front Street UMC 136 S. Fisher Street, Burlington, NC 27216-2597. Keywords: Burlington (15), Cake (15), Clouds (6), Fine Art (6), Front Street United Methodist Church (3), NC (636), Outdoor (78), Reception (45), Wedding (465). 1/200; f/2.8; ISO 50; 70.0 mm.